Find documents in Office 365 without searching. 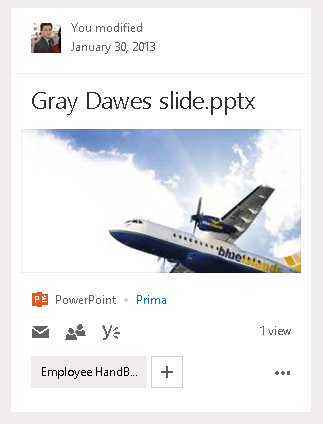 SharePoint Collaboration surfaced to users when they need it. With the advent of cloud and SaaS applications, Microsoft has been updating software and putting out new applications in record speed. 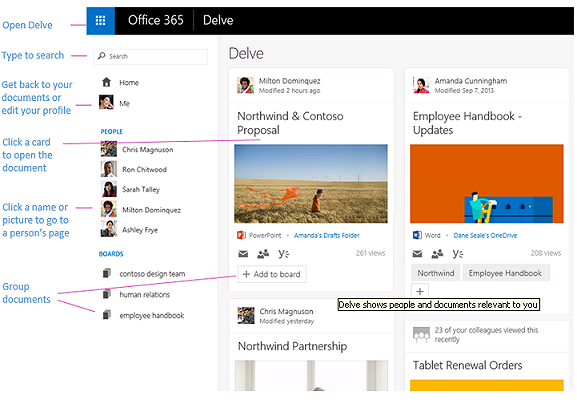 One application that might go unnoticed is Delve. By the very definition of the word “reach inside a receptacle and search for something”. Powered by Office Graph, Office graph is like a gopher digs through personal content as well as content that pertains to you via shared content and user interactions. The purpose of Delve is to surface content and information that is important to you without effort from you. 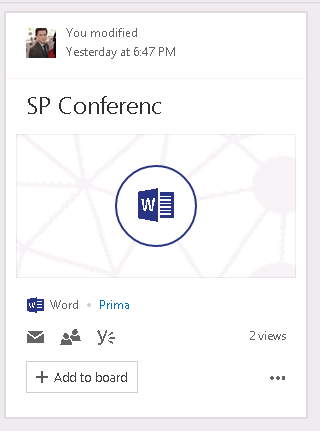 Just image in email or SharePoint how many times you have said “I CAN’T FIND IT!”. Office graph uses machine learning algorithm to find the interactions between people, interactions, and content. Delve leverages this information from the Office Graph to present the user with a single pane of most relevant content to the user. The increase in digital content can be over bearing. Just hours can be spent chasing down information that needed. Delve is the future by sourcing this information for us. Also Delve has intelligence behind it, it starts to be coming the true dream that knowledge management wanted to be. Top of the card: User who has recently modified the document and modification date at the top of the cards. Boards allow users to create a logical grouping of documents. Each document has a button at the button that says “+ Add to board”. If no boards exist when this button is click if will allow you to enter a board name. Subsequent selections will allow the user to either select from existing boards name or create new boards. When you still want to find that document but don’t immediately see it, search is readily available right on the left hand navigation area. Documents in the pane will be filtered by the search term entered. Also available is hit highlighting, which highlights areas in the document where the search term is first discovered.